You may have AVI video files saved on your hard drive that you only like for the soundtrack. They may be concert videos, stand-up comedy, music video compilations, motivational speaker talks or even religious sermons and speeches. If you want to enjoy only the audio in your car or on your portable MP3 player device, you will need to extract the audio by converting them from AVI format to MP3. Only then will the audio be compatible with most media players, thus you can freely listen and share your favorite audio whenever you want. 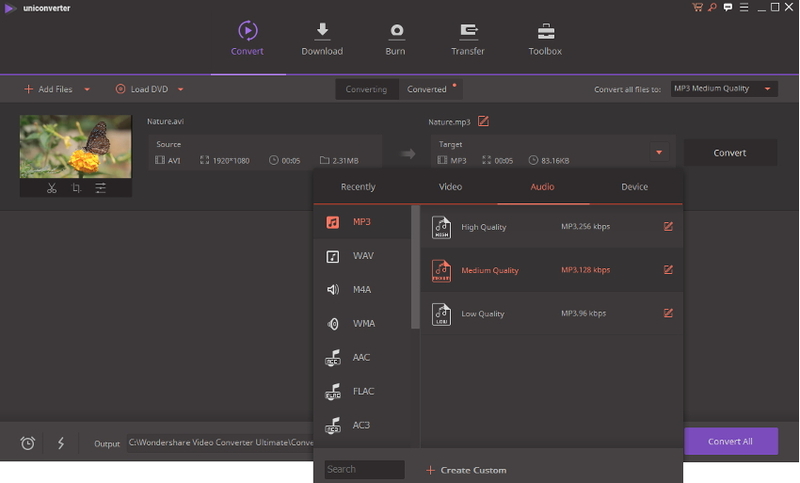 If you are looking for the best video software for converting AVI to MP3 files, try Wondershare UniConverter (originally Wondershare Video Converter Ultimate) today. It can quickly and efficiently convert AVI and over 1000 other formats for Windows, Apple devices, Blackberry, Zune, Android, video game consoles, YouTube and many others. It stands out for its batch conversion capabilities, ultra fast conversion speeds and high-quality output. Many users also like it for its intuitive interface that is easy to use even for new starters. Below are the steps for your guidance. Step 1 Launch Wondershare and add your AVI files using the Add Files button. You can alternatively drag files from your storage device or video folder onto the program interface. Step 2 Click in the Target section will expand the output formats tab, which offers you over 1000+ video formats and devices to choose from. 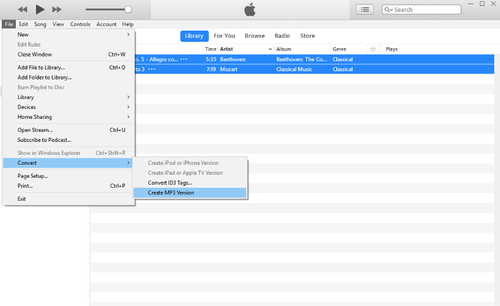 To choose MP3 as the output format, just click Audio > MP3 and select your target audio quality in the right. Tips: If you want to further customize your conversion profile, you can access advanced settings by clicking the gear icon + Create Custom on the bottom right corner. However, we recommend you use the default settings that have been optimized for efficiency and quality. Step 3 Before you click the Convert button to convert your AVI file to MP3, you can change the location of the output folder for your convenience. When you are ready, click Convert All to start the process. iTunes is a popular application that is mainly known for playing multimedia files, and recent versions now are capable of converting AVI files. 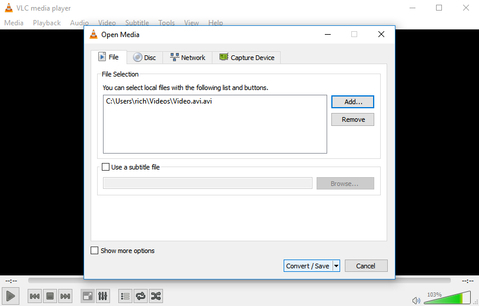 To extract MP3 auido from AVI video, just follow these simple steps. But note that it will permanently erase the video content. Step 1 Launch iTunes and then navigate to Edit > Preferences. Step 2 A pop-up window will appear. On the General tab, click on the Import Using drop-down menu and select MP3 Encoder from the list of option. 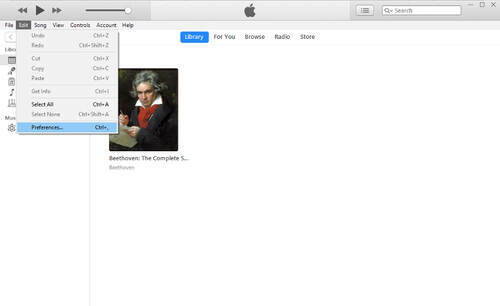 Step 3 Return to the main iTunes screen and select the AVI file in your library that you want to convert to an audio file. 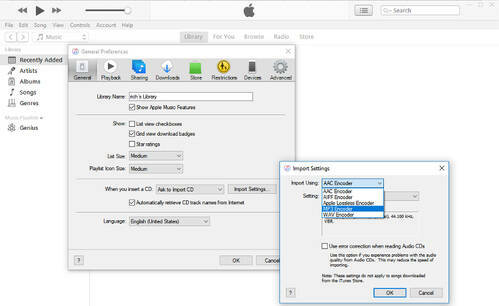 Step 4 Go to File > Convert > Create MP3 Version, now iTunes program will rip the audio from the file and create an MP3. Step 1 Navigate to Media > Convert/Save. You can also use the keyboard shortcut CTRL + R.
Step 2 A popup window will appear. 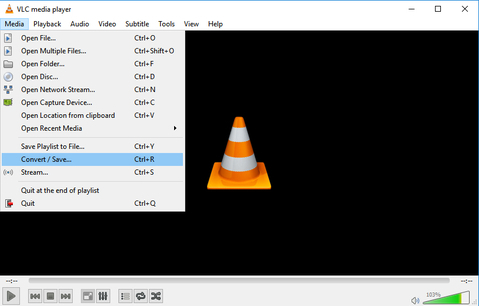 Click on Add to import your AVI file to VLC. Step 3 When your file is loaded, click on Convert/Save. Step 4 Another popup window will appear. At the Profile drop down list, select Audio – MP3 and specify the converted file's destination location. Step 5 Click Start to begin the process. 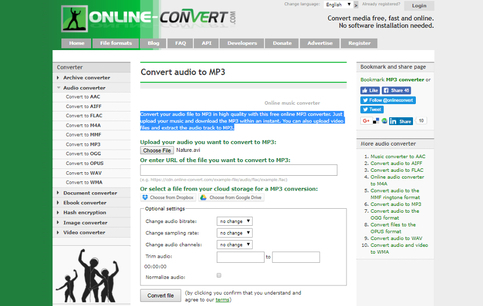 Cloudconvert is an online tool which can help you convert AVI to MP3 for free online. Many users find it easy and convenient to use. To convert to MP3, simply open the website page, select and upload the files you want to convert, choose your output format and click Convert to start the process. OnlineVideoConverter is a free online converter that will convert your AVI files to MP3 format in 3 easy steps. First upload your AVI files by pointing to their location or by drag-and-drop. Once your file is loaded, set your output format to MP3 and click Start to initiate the process. Zamzar is a simple, easy-to-use web converter app that handles many video and audio formats, including AVI and MP3. Instructions to convert any file are conveniently placed on the homepage. All you have to do is upload your files from your local hard drive, select your output format, enter your email address and then click Convert to begin the process. 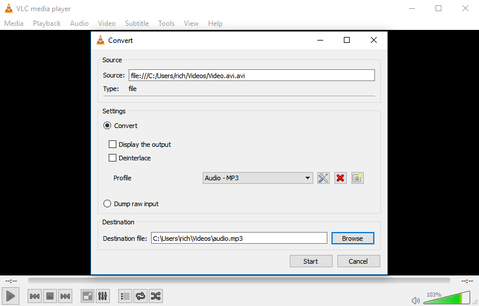 Convert your AVI file to MP3 in high quality with Online-Convert, a free online multimedia converter. Just set your output format to MP3, upload your file, change the audio or sampling bitrate if you wish to and finally click Convert to start the process. The Convert.Files online conversion tool can come in handy when there is a need to make file conversion from AVI to MP3. In three easy steps you can have your files complete and ready for playback on any MP3 compatible device. 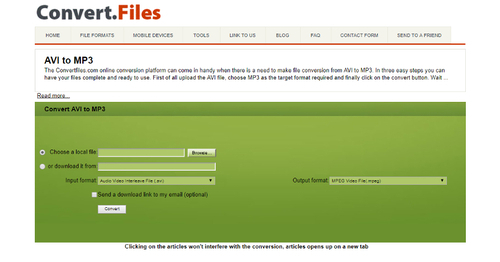 First, upload your AVI file, choose MP3 as the target format required and finally click on the Convert button.